The conveyor accessories designed and manufactured by Innova integrate your entire automated packaging end-of-line, ensuring a constant production flow. 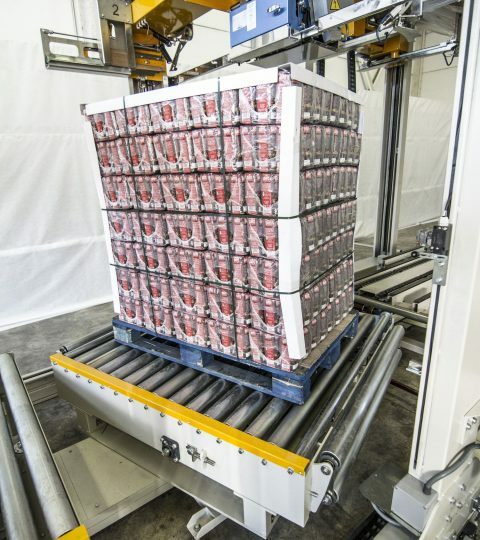 Through the combination of several conveyor systems, centralizing, and lifting, we can create the packaging line that you need. Which conveyor elements does your line need? 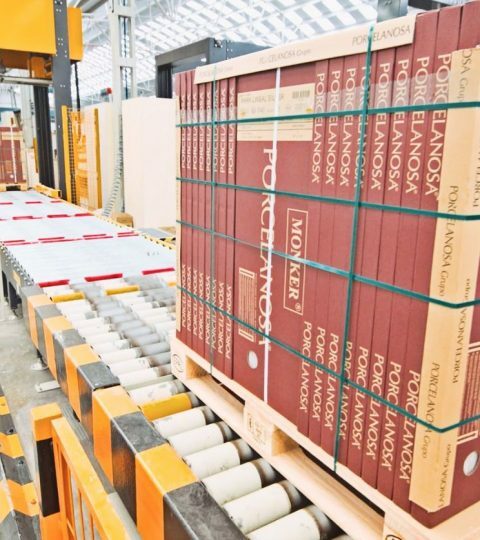 The pallet centralizer system integrated into the roller conveyor lets you adjust and centralize the pallet in the correct position on the line for subsequent packaging. 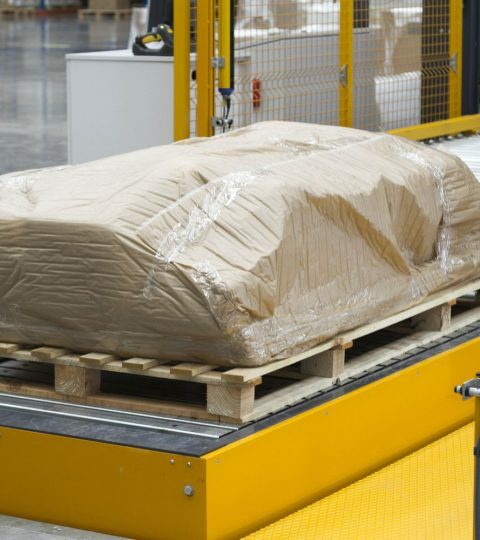 It lets you detect the pallet format at the entrance to the line in order to send this information to the subsequent packaging systems. 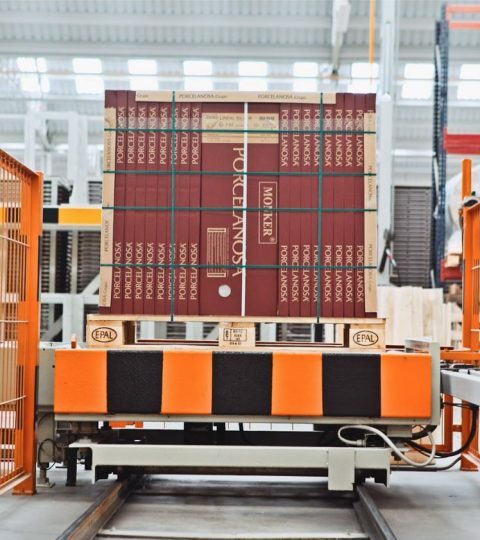 It centralizes with a pneumatic cylinder system and chain drive system to centralize the pallet automatically. 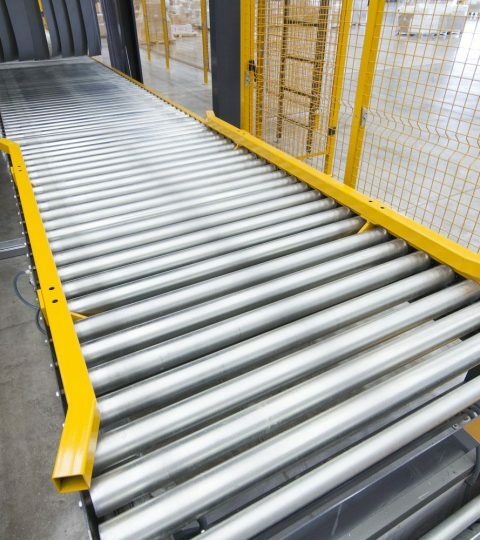 The motorized roller conveyor is designed with a strong, compact structure that leads to easy transportation of any type of palletized load and is able to adapt to any type of pre-existing installations. The conveyor system uses a gear motor with a frequency changer and traction controller with a ¾ chain. Customizable length up to 2,900 mm. This conveyor system comprises a combination of roller conveyors and chain conveyors that enables a 90 degree pallet transfer, adapted to the dimensions of the plant. It contains a lift system uses a gear motor with brake and eccentric cam system. Traction system uses 3 simple 1” chain circuits. This roller conveyor includes a rotating platform that allows to rotate the pallet 90 degrees in order to strap in 2 directions or to adapt the conveyor system to plant dimensions. It contains a tilting roller system to link with the previous and following conveyors and a 90 degrees rotating system using a gear motor with brake and ¾ chain. Vertical load conveyor system to transfer the load to spaces at different heights. It contains a built-in roller conveyor. The lift system uses a gear motor with brake and a 1” chain system. This is a conveyor that enables the manual loading of pallets at floor level. 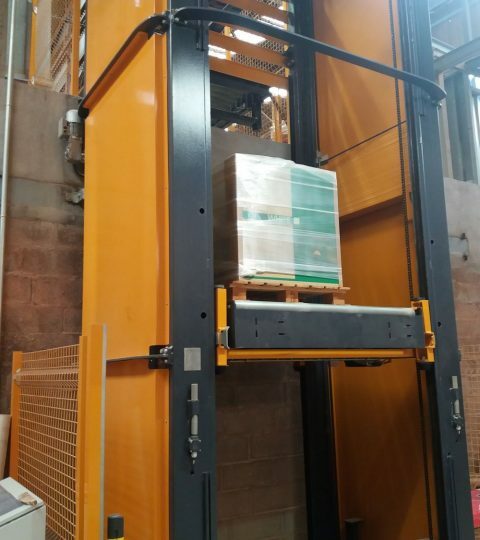 It comprises a hydraulic lift system using a scissor lift. The conveyor system uses a special flat top system.